Dlmalm's interactive graph and data of "2018 Daily Highs &amp; Lows vs. 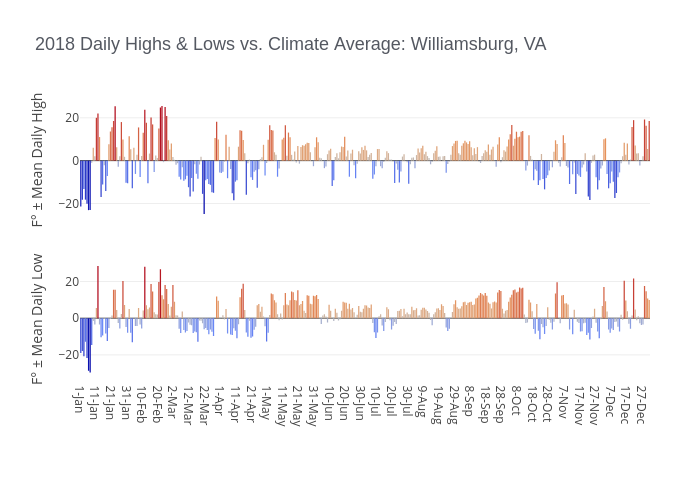 Climate Average: Williamsburg, VA" is a bar chart, showing ± Normal High vs ± Normal Low; with F° ± Mean Daily High in the y-axis. The x-axis shows values from -0.5 to 344.5. The y-axis shows values from -27.7 to 28.3.